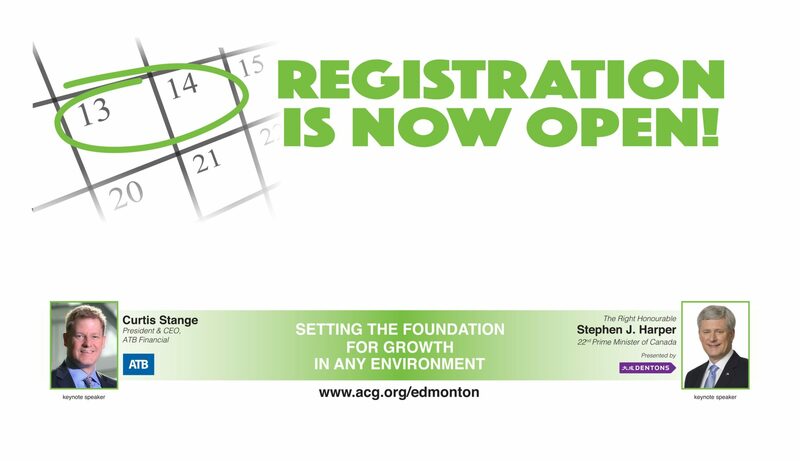 Join us on March 13-14 for the 7th annual Corporate Growth Summit hosted by the Association for Corporation Growth (ACG) Edmonton in the heart of Edmonton’s River Valley. The convention will showcase leading experts and panelists that teach attendees how to incorporate strong foundation building business practices into their own organizations, maximizing value for all. This year’s theme is Setting the Foundation for Growth in any Environment. Gain valuable insights from Keynote Speakers Curtis Stange, President & CEO of ATB Financial, and The Right Honourable Stephen J. Harper, the 22nd Prime Minister of Canada. For more information on the event and Keynote Speakers, please visit their website here.